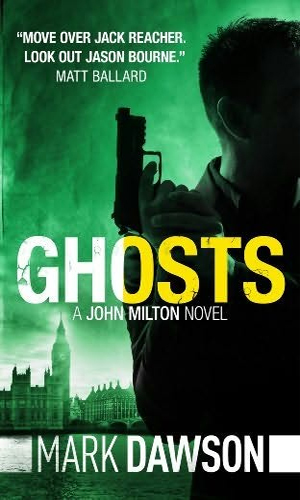 John Milton is an assassin for British Intelligence. At least he is in the introductory novella and the opening pages of the first novel. He works for a small, unique department operating inside the umbrella that is British Intelligence, Group Fifteen. That bureau is run by a man known simply as Control, a man who makes the final decision on missions the group will accept when presented with them by the other more well known branches like MI5 and MI6. Control has been running it for quite a few years and has become very good at removing his emotions from the projects. Those who need eliminating are ordered dispatched swiftly and his decisions are non-negotiable. A bit more than ten years before the activities in the first novel, John Milton was approached by Control with the prospect of joining the department. That was how things were done - a person was asked, they did not apply. Control saw enormous potential in the man and so made the offer which was accepted. An intense year of extremely rigorous training followed during which the potential was honed to an instinctually sharp edge and Milton became operational. His initial designation was Number Twelve. That was the customary starting position and an agent moved up when an opening came. Openings came only when the agent holding the spot was killed as happened because no matter how good one was, there was the unknown that can destroy any plan and no one stayed lucky forever. In time, Milton lived long enough to reach the top position and as Number One, he was the best Control had ever had. 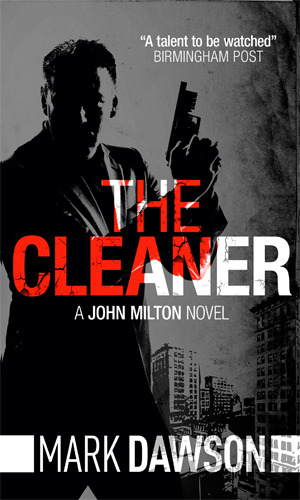 While some of the tasks that Group Fifteen took involved framing people or blackmailing them, when the job was elimination, that was when people like Milton were summoned because Milton was a Cleaner. He cleaned up problems and he was very good at it. Being a government assassin was not something Milton had considered as he grew up. He was the son of a successful petrochemical engineer who traveled all over the world and took his family with him. As a result, Milton learned how to quickly adjust to any culture and to blend in as well as anyone, a trait that would come in handy later. When he just entering his teens, Milton’s parents were killed in a car crash and Milton went to live with relatives. Financially he was quite set from an inheritance which meant the best schools, culminating in a law degree. But a different path was chosen and he joined the military becoming a member of the Royal Green Jackets. He served for almost a decade before applying for and getting accepted into the SAS. In the First Gulf War, he saw a tremendous amount of action behind enemy lines but on a mission that went terribly wrong, he was captured and spent several weeks being tortured before rescue came. It was back home recovering from his severe injuries and knowing his time with the SAS was over because of them that he accepted Control’s offer. Now at around 44 years of age, John Milton decided he was finished with the killing. He wanted out but no one left Group Fifteen, ever. At least no one did before Milton. He listened to Control’s arguments and then his warnings and finally his out-and-out threat and said goodbye anyways. Knowing that Control would send someone after him, he disappeared. Since he was trained in living under the radar, he knew how. He also knew it was just a matter of time before someone from Group Fifteen came to visit. He hoped he would be ready. 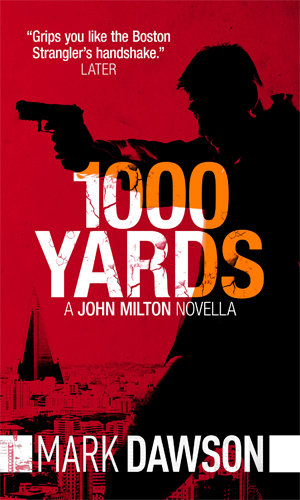 The numbering scheme used by the author, and he should know best, has the first John Milton adventure being 1000 Yards. Since that is a short story, I put it in that section of this page which means that my numbers are different than Mr. Dawson's. I wanted to point that out to let others know that I know. Though he knows he is a marked man for quitting the Firm, John Milton decides to start redeeming his life by helping a woman at the end of her rope. This means taking on a street gang and its druglord leader as well as the assassin his former employer sends after him. 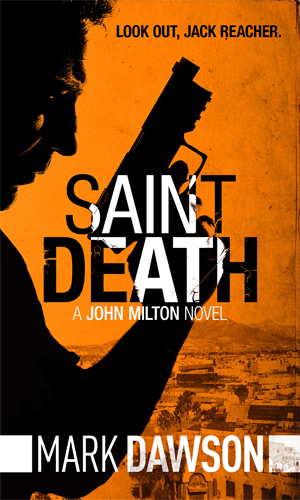 John Milton wanted to be left alone as a cook in Juarez but when a cartel hit squad attacks the restaurant to take out a couple of reporters, he steps in to save lives. Doing so earns the enmity of the gang and alerts his former employer to his whereabouts. 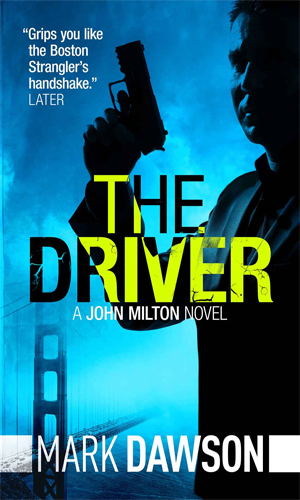 Living in San Francisco and driving a cab at night, John Milton is hired to drive a callgirl to a fancy party. When he hears her screams, he tries to help and becomes a suspect in a series of murders. Milton is determined to get to the truth even if it means putting his life in danger. 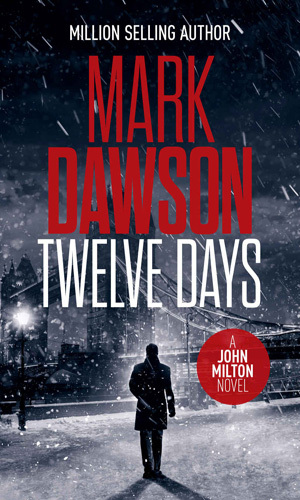 John Milton is the pawn used by a Russian spymaster to take down Milton's former boss, Control. A weapon to be used is Milton's trainer, a woman with her own desire to take down Control. Milton, though, is never anyone's pawn and he quickly makes it clear it is his game. 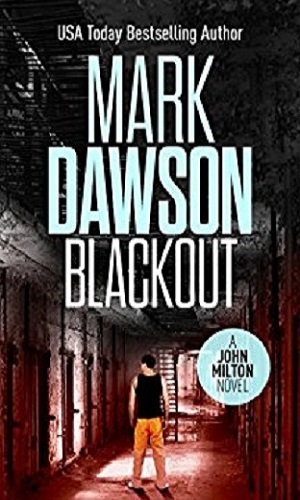 In Upper Michigan hiking towards Canada, John Milton's stop-over in a small town turns into a major event when a cult decides he and a lady FBI agent know more than is good for them. 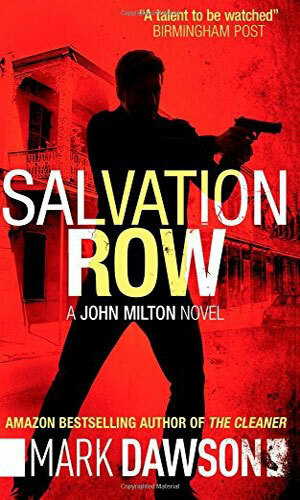 Still working on making amends for the things he did as an agent, John Milton returns to New Orleans, the scene of a particularly harrowing adventure during Katrina. There he finds a woman who had helped him running a charity being threatened by land developers. He provides his unique help. 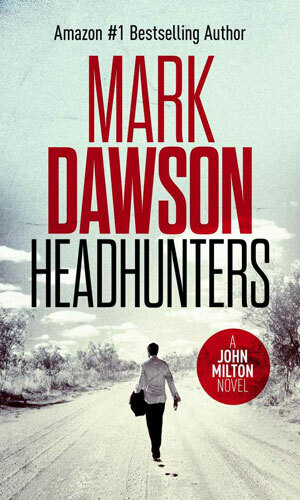 John Milton tries his hand down under, visiting an old army buddy and working the summer in the grueling heat of sheep country. 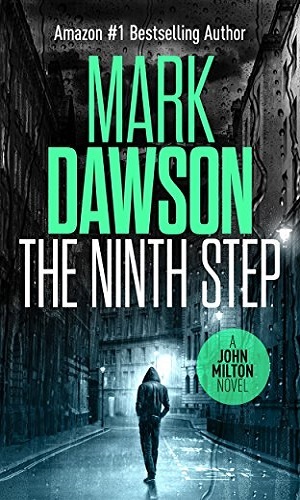 A very vicious killer with a major ax to grind against Milton uses his Mossad connections to wage war. Milton would rather disappear than fight but that is not always an option. Eddie wanted to get back at the child molester who ruined his life. John Milton wanted to help. Then Eddie was found dead and Milton is more determined than ever to see the rich, powerful politician guilty brought to justice, even if that justice is Milton's. 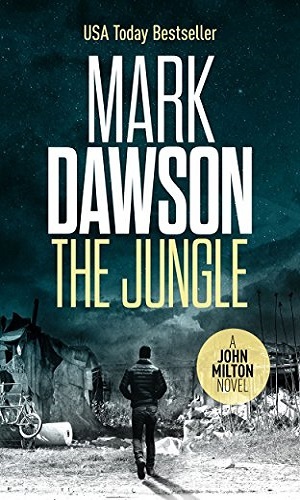 When he encounters a refugee searching for his stolen sister, John Milton decides to help even though that means a trip to war-torn Libya and then back to England and taking on the ruthless Albanian mob. In Manila chasing down an answer to a question, John Milton awakens in a hotel room with a dead woman beside him. 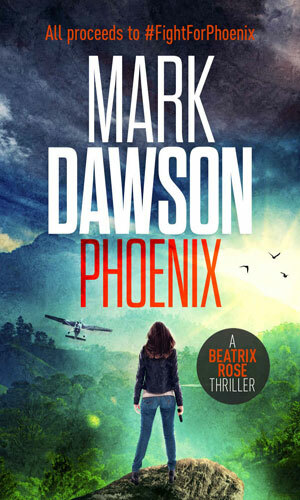 With no memory of her or her death, Milton is thrown into a hell-hole of a Filipino prison with little hope of survival, let alone answers. John Milton is in New York, living near Coney Island, when a fellow AA member's son is the only witness to a killing by two crooked cops. Since the cops worked for a drug lord, Milton knew it was a matter of time before the boy was killed unless Milton did something about it. 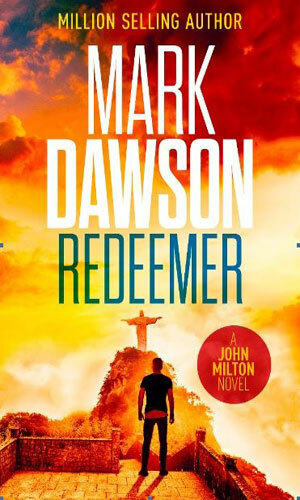 In Rio visiting an old friend, John Milton offers to help the man in his bodyguard business when one of his men doesn't show. He agrees to guard a judge's wife and daughter as they head to a school function and back. When the girl is kidnapped and Milton almost killed, he gains two goals: rescue and revenge. Return to the days before John Milton told Control to shove it and then had to take it on the lam. 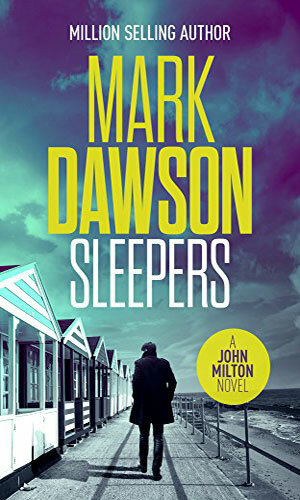 In the last major case of his career with Group 15, Milton and Pope join with SIS to hunt down two Russian sleepers who killed a defector and his handler on British soul, something Control declares must be avenged. Seeing the image of the young man he helped when he first left Group 15, John Milton decides to return to London to watch the now grown man take part in a prize fight. He also runs into some of the not-so-nice people he fought with back at that time and definitely renews old acquaintances. The author's way of introducing us to the character is through a short story. It is not at all vital to read it before reading the books because they can and do definitely stand on their own but it does help to get an idea of what the character was like before the main story line begins. 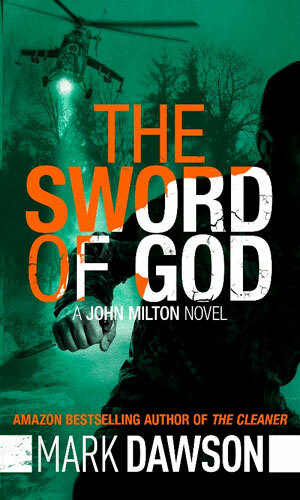 Sent into North Korea to take out one person, John Milton finds an entire nation is soon after him. 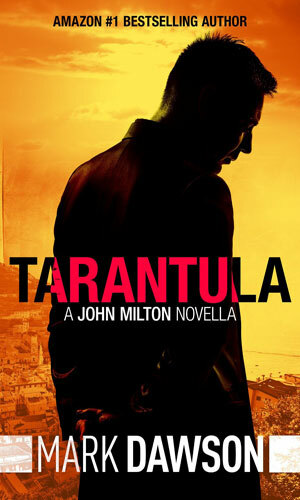 Sent to Italy to investigate the death of a fellow agent, John Milton finds the assassin, nicknamed Tarantula, worked for a major crime family. Now the assassin and his bosses are the targets of a determined Milton. With considerable pleasure, I devoured the three books in the John Milton series. The opening novella which the author designated #1 in the order was a nice introduction to the kind of work that Milton did before the real series begins but it is very different from the novels. 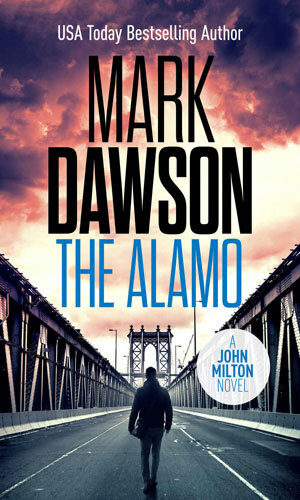 One blurb I read compared Milton to Lee Child’s Jack Reacher, which anyone visiting this site is likely to know is my all-time favorite series in the world. I read this with a grimace. Few can come close to Reacher. Well, John Milton does a darn good job. And as the series progresses, the proximity grows. Each book is really, really good. The second is better than the first and the third is even better. They are definitely no standard spy fiction as Milton is out of that business, or so he wants to think. He travels like Reacher and gets into trouble like Reacher. But that is where the similarity ends, except the terrific writing. Milton is haunted by the memory of the decade of killing he has done. The fact that it was governmentally sanctioned does not keep him from being mournful. However, that heavy regret brings with it a desire to step in and help people who are really in need. That is what moves the series forward. He has not become a do-gooder. He gets involved when the situation really calls for it. Then he does whatever he needs to in order to resolve the problem. And the fact that he is tired of the many killings he has done does not stop him for doing a few more if it is called for. Do-gooder – yes. Pacifist – no. As you can tell, I truly enjoyed this series and look forward to many more. Note: My first grade was an 'A'. That came after the first three books. After a couple more, I raised it to 'A+' as the author keeps getting better! I really enjoyed this series, could not stop reading until I had consumed all 4 books. And there are 4 now. The latest one is titled Ghost. This is the best new series I have found in a long time. In my opinion, this series is much better than the Jack Reacher series to which it is always compared. I''m hoping Milton and Dawson continue to grow in popularity and start getting the recognition and notoriety they deserve.